As Sacramento blogger and gal-about-town Melody Stone put it: Where else but Sacramento has a Beer Week that lasts for ten days and a Fashion Week that lasts for three? Well, there you have it- my hometown of Sacramento has a 3-day fashion week, or better put: a Fashion Week-end. Sometimes it's more about quality than quantity, and the if the Emerging Showcase was any indication, Sacramento is off to an ambitious start. 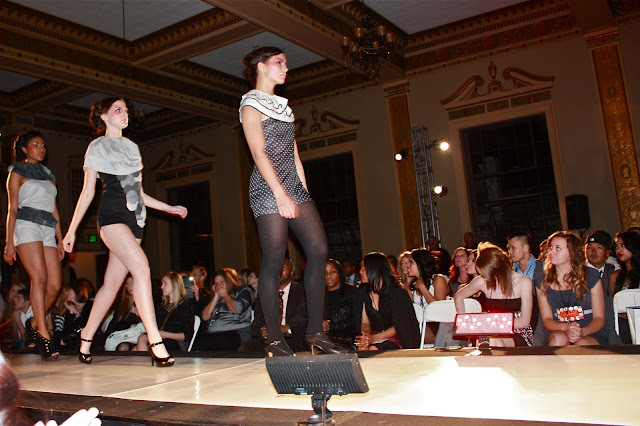 The event took place in the historic Elks Tower ballroom, and the runway with its twin projection screens, looked grand. The event was well produced, ran smoothly, and I was touched by the warmth of the folks that organized the show. The woman who graciously escorted us to our seats, greeted me with such a genuine welcome. I was pleasantly surprised to see that we were seated in the second row which gave me an excellent view of the clothes on the runway. 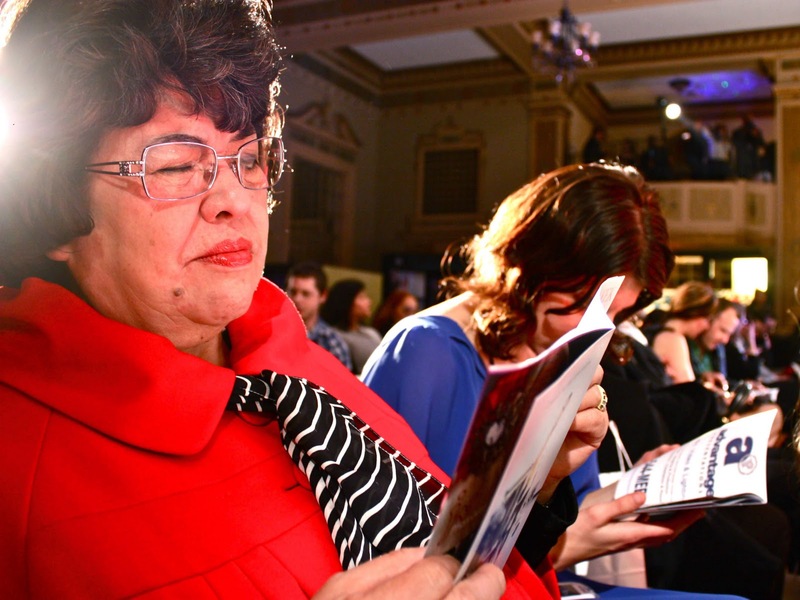 Mama Q and Melody Stone read about the emerging Sacramento fashion designers in the program. 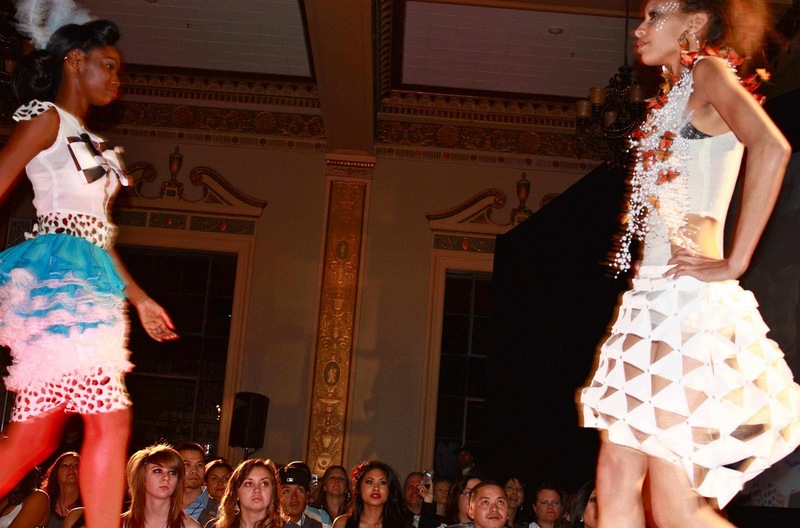 Where else but Sacramento has a Beer Week that lasts for ten days and a Fashion Week that lasts for three? Most of the shots are posted over at Street Style SACRAMENTO, so if you want to check out some home-grown fashion, be sure to head over there for a more extensive photo essay. On a whole other note: Thank you for making the about the +40 Blog roll my #1 post in Citizen Rosebud history. And to think I almost DIDN'T write it! With nearly 1500 page views and counting, it shows that there is a real interest in style of ages. If you haven't read the post and would like to, please click here. 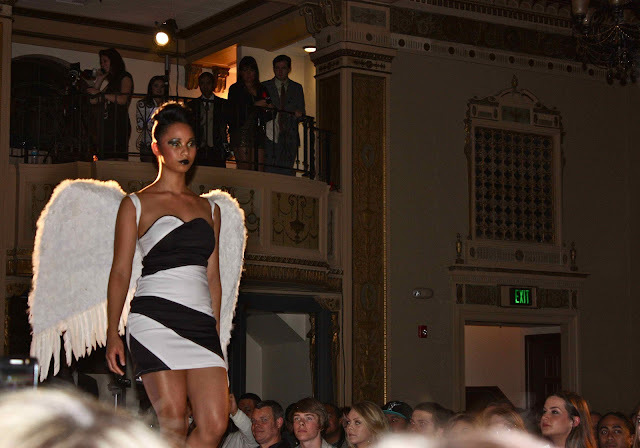 Hey Bella...the runway show looks like it was cool...how fun to get to go!! I met two 40+ ladies this afternoon and they were pretty amazing women. One was the first high fashion African American model in San Antonio. I am doing two posts about them...come check it out and I will go look at the rest of your pictures!! Rosebud--sure wish my metro had something like this. I received the tights I ordered already and am very pleased. 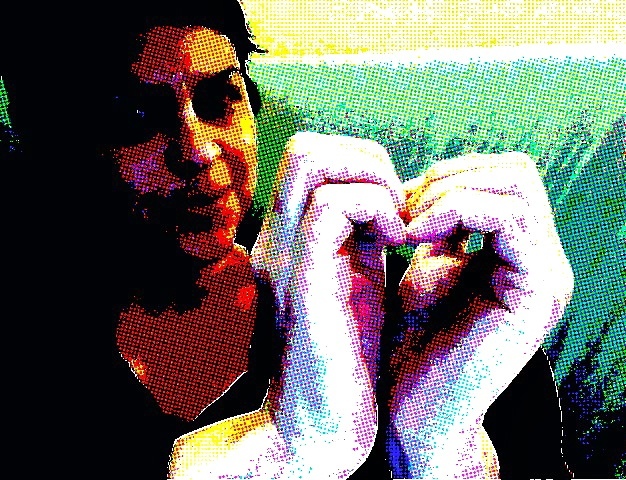 And I owe you a big thanks for the three new readers I've picked up via YOUR blog post. Cool pictures from the show. Congrats on the response to the 40+ bloggers. The first dress is killer. Bella, the photos make me feel like I'm in the front row. A weekend of good fashion is better than a whole week of beer, any day. I mean don't get me wrong I love a good beer but fashion is always first. I'm so glad that you added my humble blog to your list; I had gotten a lot of more traffic on my blog after you post it on the list. Thank You So Much. my favorite is the outfit in the third photo down! I'd quite to see Beer Week and fashion Week combined!! Hi sweetheart, I hope you have a fab time! So great to see local talent, and I love the way you redefine the week to weekend, sounds chic that way ;p. I am loving the sound of Sacramento I have to say :). Hugs for you. Even if you only have 3 days of a fashion week, at least you still got to enjoy some runway shows! That cut-out skit looks pretty cool, although I don't think I would actually wear it. I'm also loving the red striped skirt! Also, well done on spotlighting the fashionable over 40s. Who says you have to sacrifice style as you get older? Damn, so bummed I missed this! It looks like it was truly an awesome event. Can't wait to read more about it! Vix- you are welcome to visit anytime. Especially during Beer/Fashion week! Gina: let's shoot for the next one! I wouldn't done the wings, too much of a Victoria Secret copy and bad wings at that. Most of the outfits look like a jumble sale from a thrift store. Come on Sacramento, where's your real designers?